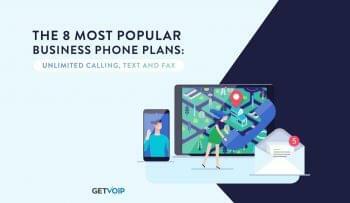 Adopting a VoIP service or hosted PBX to handle your calling needs is one of the easiest ways for small to medium businesses to cut down on extra costs. But with the recurring cost of most providers that charge per user, per month, it can still add up quickly. To counter this, Yeastar has recently launched its newest line of on premise IP-based PBX systems, the S Series. With a strong focus on the company’s core values of reliability, dependability and affordability, this new S Series will allow even the smallest, most frugal business to implement a small business phone system that provides a professional level of service. Cost effective and feature rich on premise deployments can provide any business starting with the right phone system for the right price. Yeastar was kind enough to send us one of their newest models of the S Series, the S20. As the entry level device, the S20 sports a low price point and yet allows for 10 concurrent calls. The system can support 20 users, for up to four analog phones, and even 20 SIP Trunks. Almost a brainer for smaller teams that aren’t looking to shell out the money for a fully hosted platform, the S20 it’s a powerful package – with support for almost any connection, from SIP/IAX to E1/T1, and even cellular networks and connections to the PSTN. The S20 represents Yeastar’s core principals of affordability, while remaining reliable, easy to managed, and almost maintenance free. Designed for the small business, setup for the S Series is relatively simple and can be taken care of within a few hours. Essentially, the S20 is a hosted distribution of Asterisk 13 (the Linux based engine that powers the PBX) tied together with an easy to use GUI to configure the vast number of calling features that Asterisk can provide. 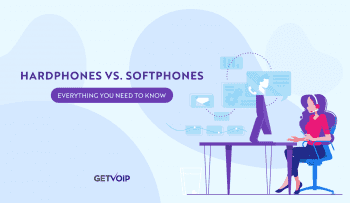 It all just happens to be physically present at your location, on your LAN, instead of “hosted” by a VoIP provider – this combination allows for cost savings, while still offering the same feature rich service. In order to ensure calls can be made, the S20, and all on premise IP PBX’s, will still require a dial tone supplied by a SIP Trunking Provider. Once you obtain the S20 and are ready to begin the installation, your first step would be to obtain a SIP Trunk. In the case of our test, Nextiva was able to provide us with a SIP line, which worked flawlessly. With the help of the Nextiva support, we were able to have the S20 registered to a SIP line within minutes. Physical setup of the device was quick and easy. 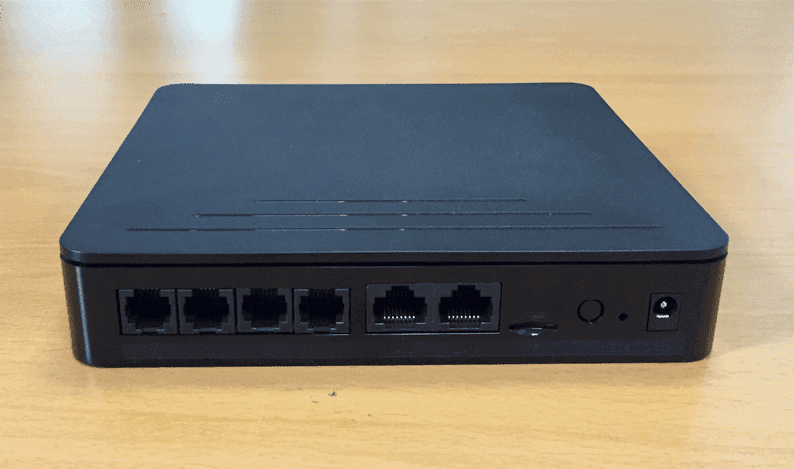 With all your ports located on the back, just plug the S20 into a power outlet, and then plug in an Ethernet cable from your router to establish the network connection. We then spoke to Nextiva, who was able to provide us with the SIP Trunk to establish a dial tone, and managed to handle the PBX registration to a SIP Trunk on their end. Thanks to the intuitive GUI, that happily mimics a standard computer desktop, setup on our end was fairly easy. After hooking everything up, and establishing a connection with Nextiva, the next was to navigate our way through the S20’s GUI and locate the settings page – which can be opened through a desktop icon. From the settings menu we then located the “Trunks” page under the PBX settings, and plugged in the necessary account and domain information provided to us by Nextiva. 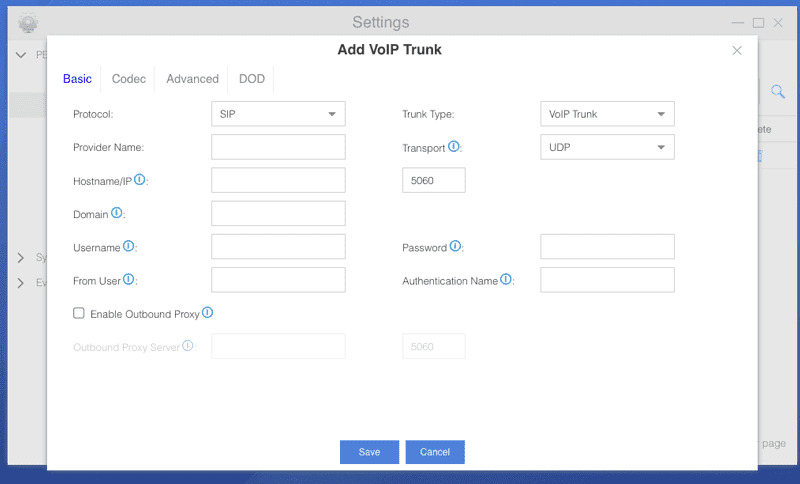 Our S20 IP PBX was now registered to a SIP trunk! With everything handled on the SIP Trunking end, and armed with the necessary account information from Nextiva, the next step was to register a phone. From here, we tried a variety of phones including a Cisco SPA303, Polycom VVX 500, and a Yealink SIP-T48G. Again in the S20’s easy to navigate GUI, we located the Extensions page under PBX Setup, and registered our phone with the necessary labels and account information. After that it was just a matter of accessing the IP phone’s online web portal, and anyone familiar with provisioning a IP phone will understand this process – simply log into the phone’s web portal and plug in the necessary information. From there our phone registered, our line had a dial tone, and we could successfully make calls! The S20 is made easy to use and configure thanks to the built in web GUI Yealink has developed, and it stands out for a few reasons. 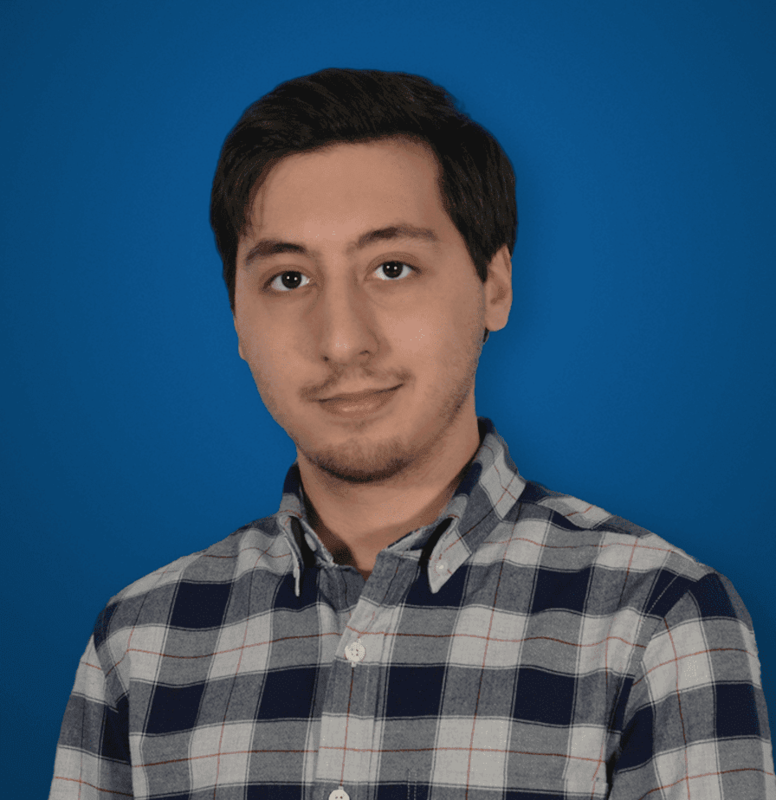 Its just as easy to get to as any other web portal for a device – as long as you are using a computer connected to the same network you simply direct your browser to the proper IP, and the login page should display. Based on the Linux system, this GUI allows users to take full advantage of the powerful Aseterisk 13 operating system that powers their S20 or other S series models. But also thanks to the easy to understand GUI, just about anyone can jump online and take full control of their phone system, without having to know a single bit of Linux. Designed to replicate a standard computer desktop, the interface is easily recognizable by almost any that’s used a computer in the last 20 years. The GUI doesn’t look old or outdated, and it doesn’t look as if it’s trying to be an exact copy of your home computer. Yeastar did an effective job in creating a design that’s familiar, easy to navigate, and intuitive. 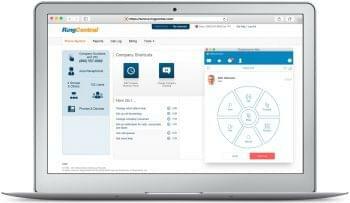 Configuration is dealt with on a simple point and click level, yet still manages to remain powerful enough to totally configure your phone system. The default desktop provides three distinct icons, Settings, CDR and Recording, as well as Maintenance. The majority of your functions will be found within the settings menu. From here you’re given three distinct categories – PBX, System and Event Center. 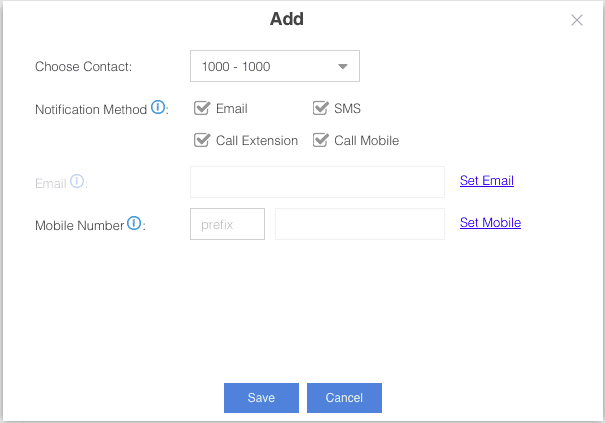 The PBX settings allow you to make changes to your extensions, trunks, and call controls, call features, and even recording or voice prompts. System lets you configure your network, security, user permissions, as well as storage and email settings. 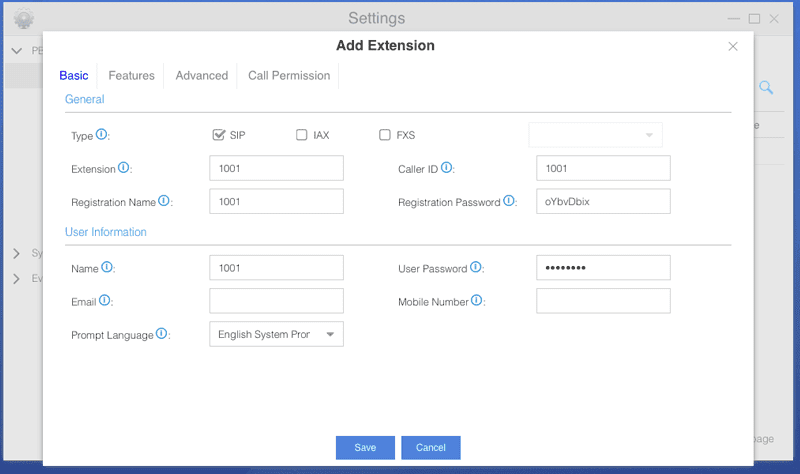 Through this familiar design, it’s incredibly easy to manage and configure your phone system however you need to – you don’t have to make calls to hosted providers or submit online ticket requests, and wait for a feature to be turned on while hoping they didn’t accidentally shut something else off. You’re given total control to your features and extensions right through your web browser. Adding new extensions is as simple as typing in the provided SIP information, such as the provider’s domain and user credentials – every field is labeled properly, and even includes an extra tool tip for detailed information. 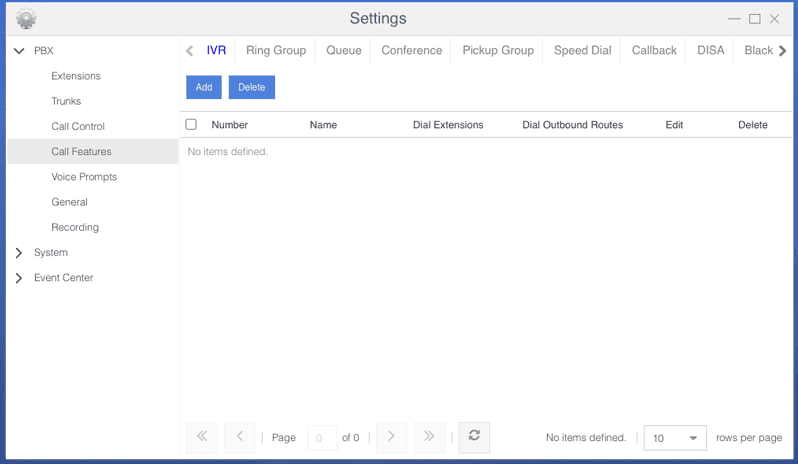 Call features are just as easy to manage, with distinct sections for each such as IVR, Ring Group, Call Queue, Conference settings, Pickup Group, and Speed Dial. Everything you would need to turn on or off can all be managed from this one simple web GUI. One unique feature that really stood out to me was the addition of an Event center, located in the settings page on the web GUI. 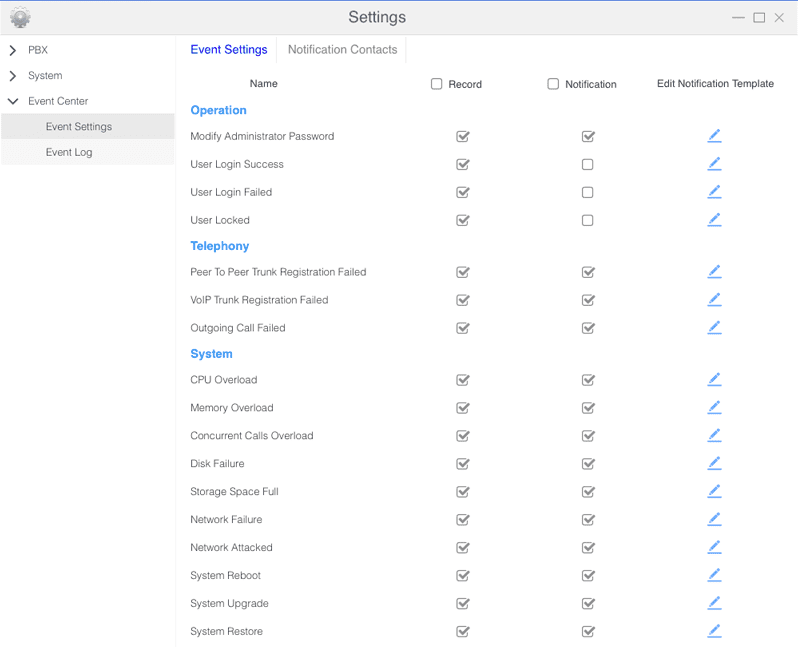 With the Event Log system, administrators can instantly be alerted through email, SMS, or even a phone call when a specific event happens. The entire process, which event sends alerts, how the alerts are sent, and who they are sent to can all be managed through the same easy to use point-and-click web GUI. The system actually allows for some interesting functions, ranging from simple functions such as “VoIP Trunk Registration Failed” or “Outgoing Call Failed” to better monitor your systems status, or more in depth alerts such as “CPU Overload, Memory Overload,” or even “Network Failure” and “System Reboot.” This way when your system has an issue, or even needs an update, your administrator can stay in the loop no matter where they are. Depending on your priority level, you can tailor the system to send emails for simple issues: a simple email can be sent for when a user is unable to login or locks their account, but company wide SMS messages can be sent to all users when the system fails completely. 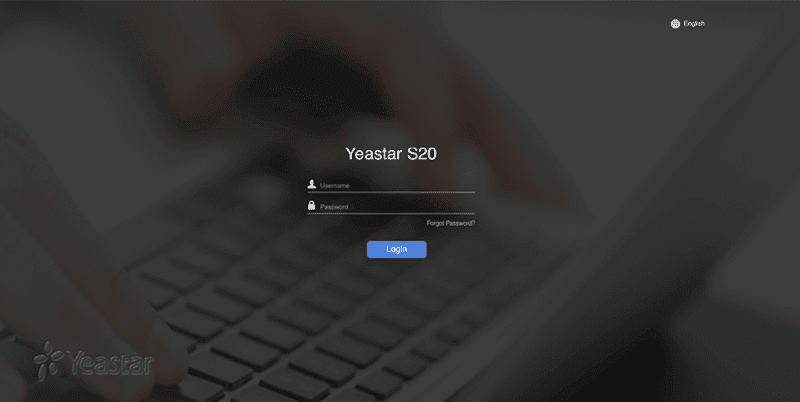 Beyond the intuitive GUI, Yeastar has made some strides in the hardware packed into the S Series. With the focus on their core values, Yeastar ensured the hardware of the new series would be top notch to remain reliable not only for today, but hopefully for years to come. Starting with the brain – the processor of the unit – Yeastar has moved to the industrial grade chip set produced by NXP, previously Freescale prior to the 2015 acquisition. With other components from incredibly large, familiar names like RAM sourced from Samsung and Flash memory from Toshiba, Yeastar made sure the hardware would last. With the decision to include industrial grade, as opposed to automotive, or standard consumer chip sets, in the new line of units, Yeastar has gone extra lengths to adopt a robust solution. The standard for the S series is set at the industrial level, with the hardware to match. Thanks to this, the S series PBX’s can be installed in almost any location form factory floors, to warehouses and even oil rigs or shipyards. Or, if your S series unit lives its life in a quiet office, it will have no trouble chugging along for years to come. Yeastar even so far as to obtain power adapters from Mean Well, with an average life span of over 500,000 hours. If your S series unit lives its life in a quiet office, it will have no trouble chugging along for years to come. Thanks to a 3 year warranty, if anything does go wrong Yeastar will be sure to cover it. Part of what makes the S20 so great for smaller teams is how feature packed the solution is. The ability to host 10 concurrent calls, with 20 SIP trunks and support for 20 users, alone makes the S20 a capable setup. The addition of four analog ports on the back for legacy phones can even remove the burden of purchasing dedicated IP phones for those teams really just getting off the ground. Because the S20 is built on the Asterisk 13 platform, a massive list of powerful calling and features are available for users. The included GUI just makes it that much easier to take full control. Automatic call recording is even free for all S series units! 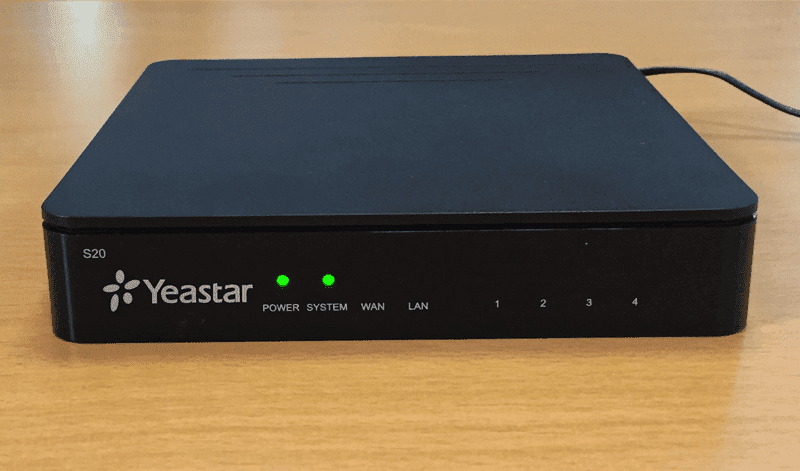 With their new line of affordable on premise IP PBX’s, Yeastar set out to develop a solution that is as easy to use as it is robust – while keeping the cost down. It seems like they’ve managed to hit all the important aspects in their development. The S20 represents the entry level model to this new series, offering up to 20 lines and 10 concurrent calls and opens doors for those teams looking to establish a new name, or an existing team adding their phone system to a new location. 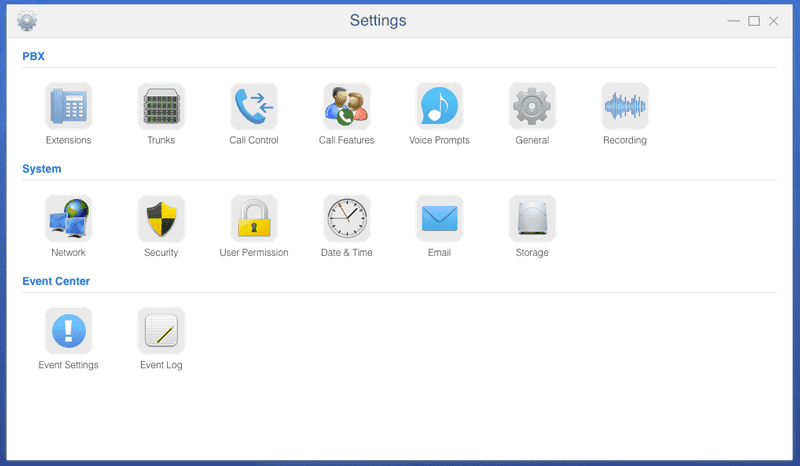 The easy to understand GUI makes it easy for even the least tech savvy business owner to setup and keep track of their phone system, while providing a full list of features to rival more expensive subscription based services. With a strong focus on channel partners, Yeastar can now empower those providers, or even business owners, to provide the cost effective solution that fits their needs, whether that’s in a simple office, or miles off the coast on an oil rig.